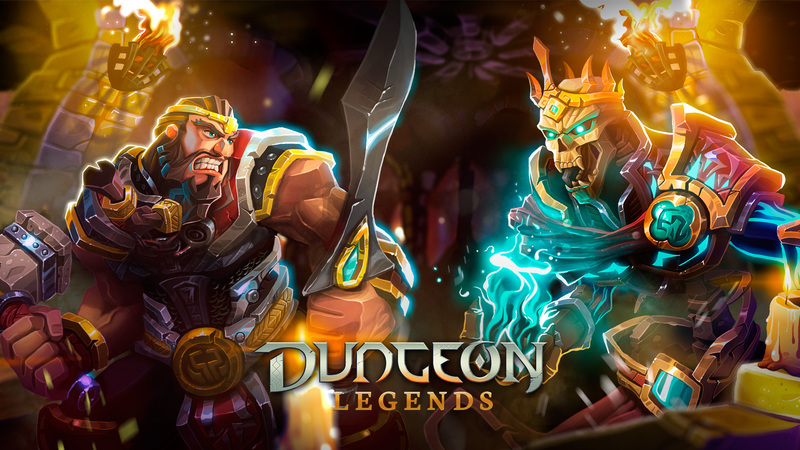 Enjoy a true action RPG experience with Dungeon Legends. 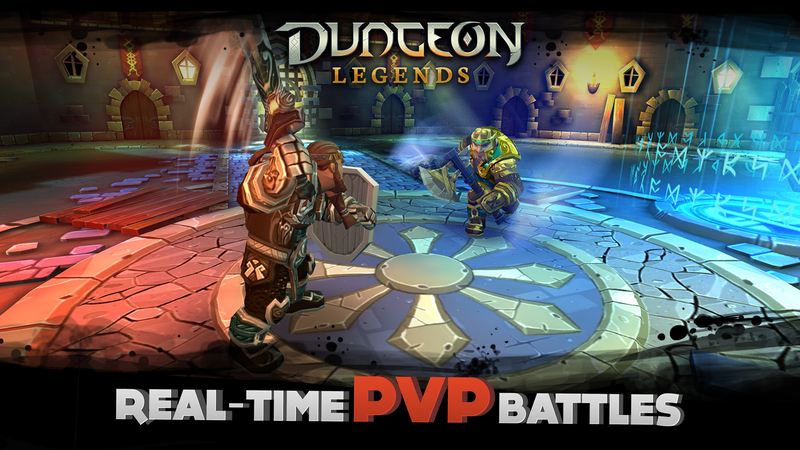 Challenge other players in REAL TIME in the arena and become a legend of the dungeons. Go through the levels in search of incredible TREASURE or for help to overcome the challenges in CO-OPERATIVE MODE. 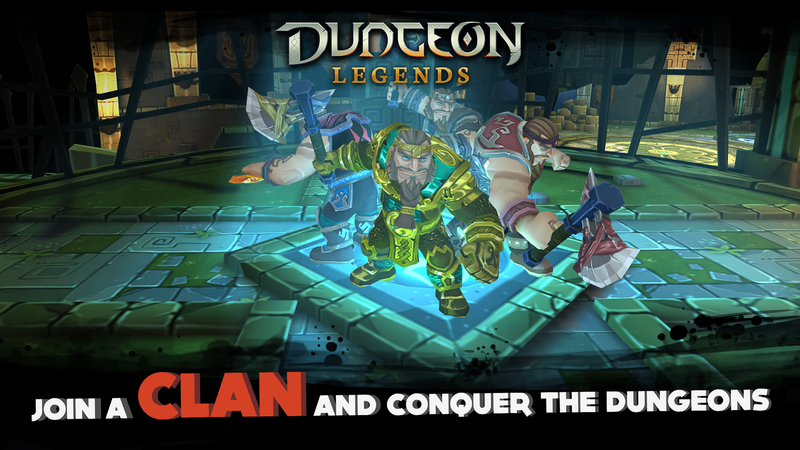 Join a clan and fight for control of the dungeons. Develop your skills and adapt your character to your style of play. 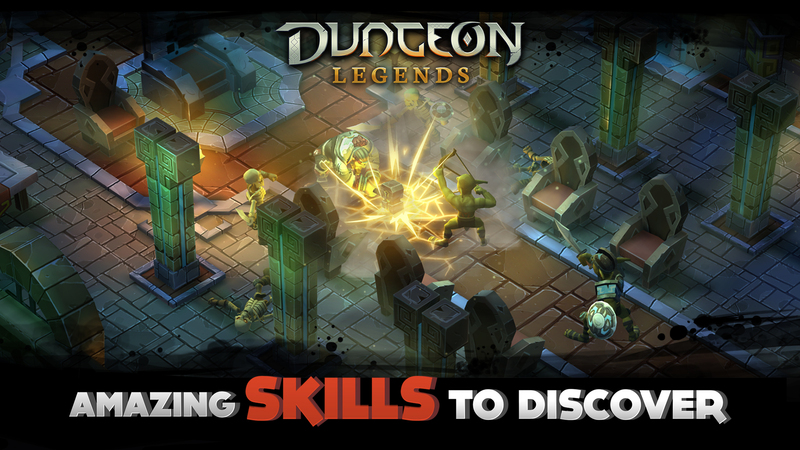 Select your skills and become a WARRIOR, HEALER or DEFENDER before you start a game. As a Dwarf, there comes a time when you have to leave your town in search of gold and glory. Take on the challenges of the dungeons to earn experience and gain the respect of your people. 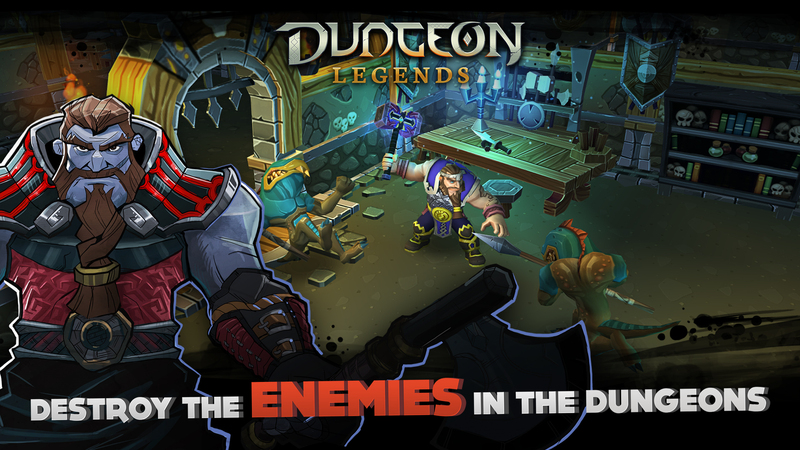 Enter the dungeons and take part in the weekly events. In each unique journey you will get new rewards that will help you improve our skills. 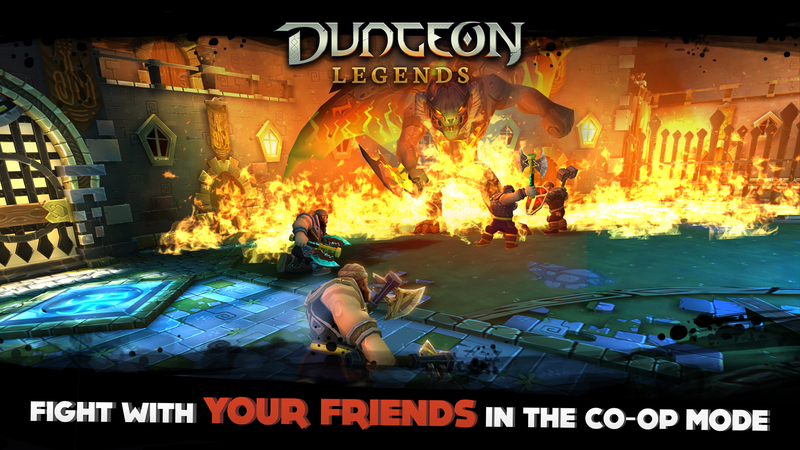 Explore the dungeons with your friends in online co-op mode. Team up with them to complete the hardest challenges and obtain powerful items.